This program is developed using the highest quality standards of our independent member organization, Americas’ SAP Users’ Group (ASUG). Few things are more important to your business and to your employees than accurate pay and benefits. Add to that the looming deadline of May 2018 for compliance with the European General Data Protection Regulations (GDPR). Fines for non-compliance are steep and can heavily impact US multi-national organizations in 2018 and beyond. Get insights into the latest release information on options for managing payroll with SAP. Take a deep-dive into SAP’s Payroll Control Center. Learn the trends and secrets to help effectively manage benefits while staying compliant. Learn how generational trends are shaping the future of worker pay. Gain critical knowledge to help ensure compliance and ongoing strategies for efficient, effective processes in this one-day complimentary workshop. 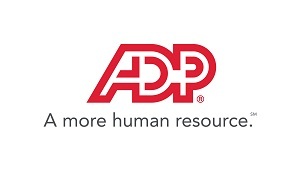 This program is developed using the high quality standards of our independent member organization, Americas' SAP Users' Group and portions of it will be eligible for Professional Development Credits from SHRM (Society for Human Resources Management). Please click here to view the current agenda!